Marco’s MIX is an undercounter hot water management system with a countertop dispenser (font), designed to meet the changing hot water needs within the coffee foodservice and office sectors. The primary design challenges were budget, time, design (aesthetic, ergonomics, accessibility & functionality) and energy efficiency. For MIX we looked at the future of hot water delivery, looking at both societal challenges and trends, as well as the evolving needs of our customers. The design brief was to deliver unrivalled energy efficiency, functionality never before realised in equipment of this class and for a design to meet the fast changing aesthetic trends of the modern food service environment. Design Intent We set about designing the most energy efficient and precise temperature management countertop and undercounter hot water delivery system in our industry, which was also easy to use and aesthetically pleasing. The challenges set out in the brief were addressed as follows: 1. Unrivalled Energy Efficiency Our ambitious energy targets drove us to find new manufacturing techniques and new manufacturing partners. For the first time in our industry we have a hot water dispenser that uses a vacuum insulated tank. MIX’s construction and energy management delivers a unique energy efficiency performance: verified by independent laboratory tests, MIX is 70% more efficient than top global brands. 2. 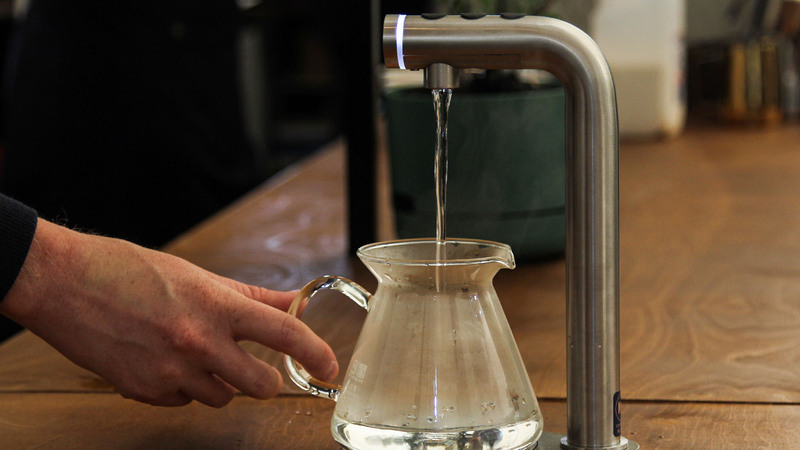 Functionality We have also developed new algorithms that enable us to achieve greater than ever portion dispensing consistency by tightly managing the flow of water in and out of the unit, this means our customers get consistent doses every time. On top of this for the first time we have a hot water dispenser that can deliver multiple temperatures instantly. The MIX delivers three independent temperatures between 60C and 96C on demand and three independent volumes, all programmable by the user through a simple user interface. 3. Aesthetic The modern food service environment insists on a considered aesthetic which has been met by the MIX solution. The contemporary font design fits seamlessly in with modern retail and café environments and addresses their needs. The form is simple, minimal and non-specific to any particular theme. The choice of materials are premium in look with a clean and simple form factor. 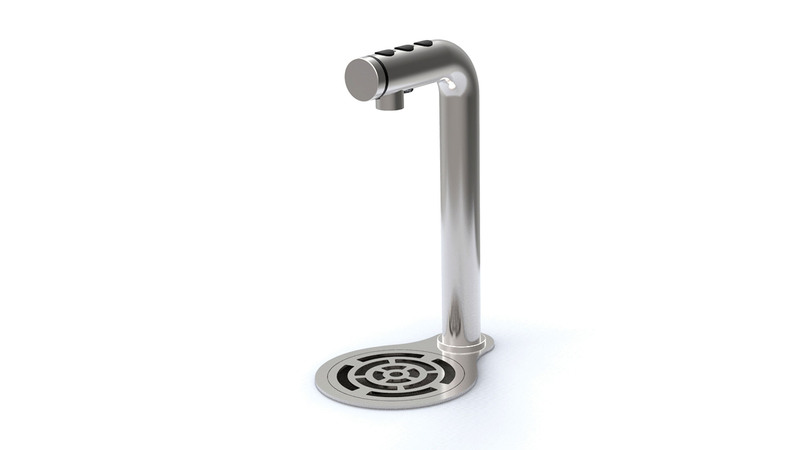 The stainless steel font is robust for daily use in a commercial environment and easy to clean. The font accommodates both right or left handed access and use. The diffused light feature at the top of the font gives valuable user feedback and indicates to the user that the font is up to temperature and ready to dispense, while also providing visual cues in the event of a service issue. MIX’s key USP’s are as follows: – Multi temperature on demand. – Unrivalled energy efficiency. 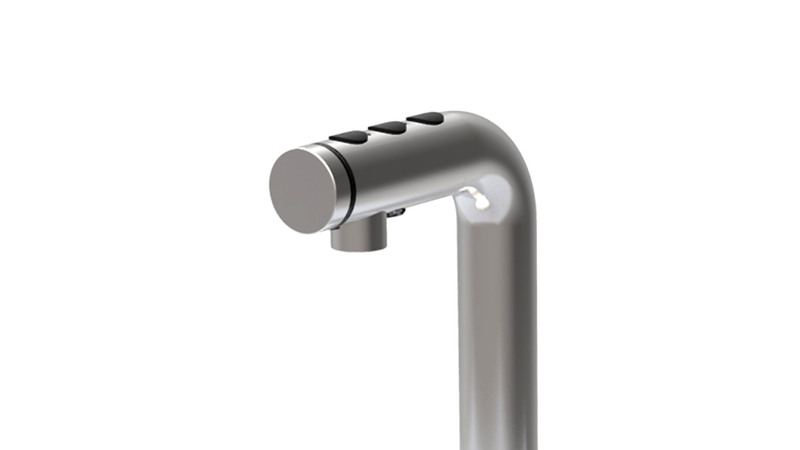 – Intuitive light based user interface. – Minimal counter top footprint. As an industry, coffee at retail is the biggest energy offender in the energy value chain from seed-to-cup, due to poor beverage machine design and construction. We used new manufacturing techniques to solve this problem, for the first time in our industry we designed a hot water dispenser that uses a vacuum insulated tank. This construction and energy management delivers unique energy efficiency performance: verified by independent laboratory tests, MIX is 70% more efficient than top global brands. Each MIX unit annually save the equivalent of more than one tree in terms of a tree’s capability to absorb carbon emissions.